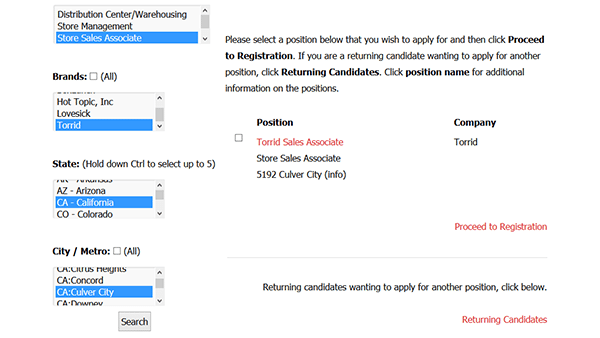 The Torrid job application link is available in the below section (as well as at the top of this page). 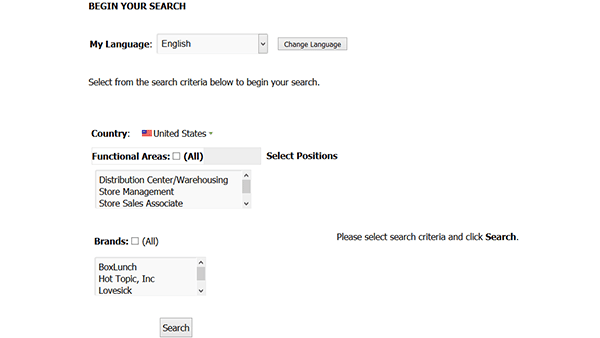 Use the instructions posted below as a reference point when searching/applying for jobs on the company’s careers site. The form can also be downloaded as a .PDF file and then submitted in-person at a store in your area. 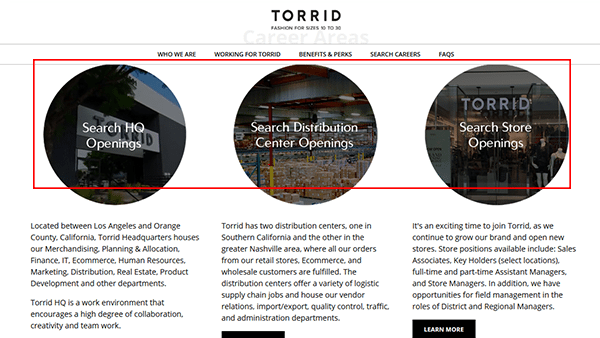 About the Company: Torrid is an American women’s retail clothing store based out of City if Industry, California. The company was formed in 2001 and has upwards of 400 locations throughout the country. Step 1 – Click here to go to the careers site. Step 2 – Press the “Search Careers” link. Step 3 – Click the link of the type of job that you want to submit an application for (e.g. distribution, store, etc.). Step 4 – Enter your search criteria and then click the “Search” button to load the results. 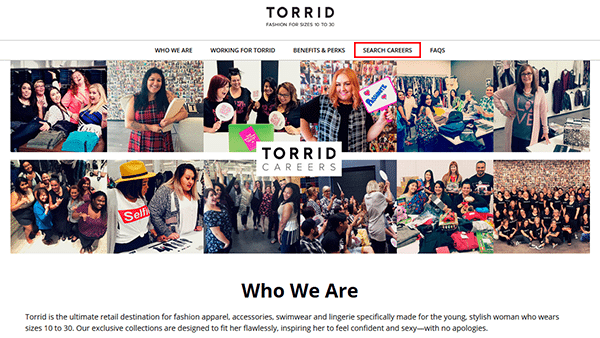 Note: Select “Torrid” as the brand. Step 5 – Check the position(s) you want to apply for and then press the “proceed to registration” button. Step 7 – Create a login ID/password. Step 9 – Complete the demographic information section (optional). Step 10 – Select if you want to import profile data from external sources. Do you have the legal right to work in the country? Have you been previously employed by the company? Do you have any relatives that work for the company? Step 1 – Download the document via the link near the top of this page. Step 4 – Sign your name and then enter the date.